In an unlikely alliance, it appears Taco Bell has teamed up with Microsoft in an attempt to unite lovers of the food chain with their very own limited edition Xbox One X bundles. 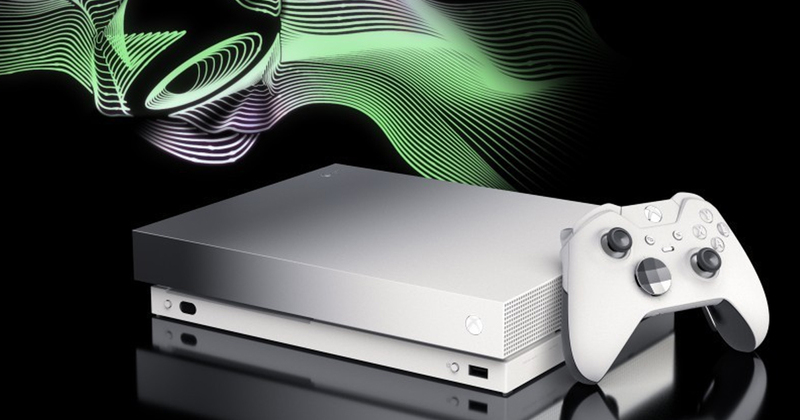 This platinum Xbox One X is in fact exclusive to Taco Bell, and even features a unique power on sound in the form of the “ring” often heard at the end of Taco Bell ads in America. An essential piece of merchandise for… all sorts of people, I’m sure. The bundle also includes three months of Xbox Game Pass, three months of Xbox Live Gold, and a white Xbox Elite Wireless Controller. All you have to do is eat at Taco Bell. May God have mercy on your soul. I should point out that this promotion is currently only for our friends in America, and runs from October 18 to November 21. To be in with a chance to win, you need to grab a $5 Double Chalupa Box from Taco Bell and text your unique code to the listed number. If you’re a winner, your brand new Xbox One X will arrive in around “72 hours” apparently. The first white Xbox One X was announced back in August as part of a handsome Fallout 76 bundle. As far as video game/fast food partnerships go, this one certainly beats the recent CoD and cod and chips promotion that was announced for Black Ops 4 in the UK.